Sydney Harbours’ leading recreational and commercial fuel facility, Baileys Marine White Bay 6, has achieved a major milestone with the delivery of 2.5 million litres to a very appreciative Sydney recreational and commercial boating fraternity. Guy Bailey, Brad Fisher and Dave Anstice, the team leading Sydney’s state-of-the-art fuel service facility, have worked tirelessly for the past five months ensuring that each and every visitor to the facility receives the ultimate service experience. 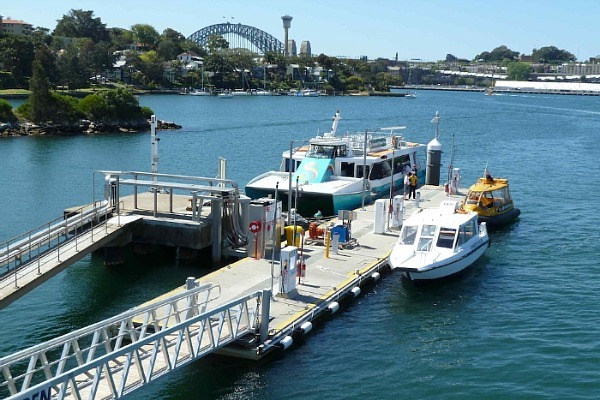 “Sydney Ferries have recently started using our facility to fuel their Manly Class ferries, which has resulted in the achievement of this major milestone well in advance of our expectations. The feedback we have received from the commercial and recreational skippers alike has been fantastic and confirms we have definitely built a facility that was very much needed for the boaties of Sydney Harbour”, commented Guy Bailey, Baileys Marine White Bay 6 Managing Director. Baileys Marine White Bay 6 is a $7 million dollar investment, focusing on providing the recreational and commercial boat operators of Sydney with the best quality fuel, delivered efficiently and at the best possible price. Featuring a total of 440,000 litres of diesel and PULP capacity, delivered through high flow fuel lines, the $7 million facility will ensure consistent supply for any and all types of vessels. Recreational boat owners have been catered for with deep water access to three high flow fuel pumps at the eastern end of the facility, also offering sullage and oily water disposal services. Baileys Marine have developed a reputation for investing in and building state-of-the-art marine fuel service facilities around the country, to cater to the needs of commercial and recreational boat operators. It is with this experience that they embarked on the White Bay 6 project working in conjunction with the BIA, Sydney Harbour Foreshore Authority and local residents to ensure the highest ecological standards were adhered to. Baileys Marine went one step further and actually designed and operate the facility under international standard ISO 14001 (Environmental Management System) to ensure the protection of the harbour and surrounds. For more information visit www.baileysmarine.com.au.